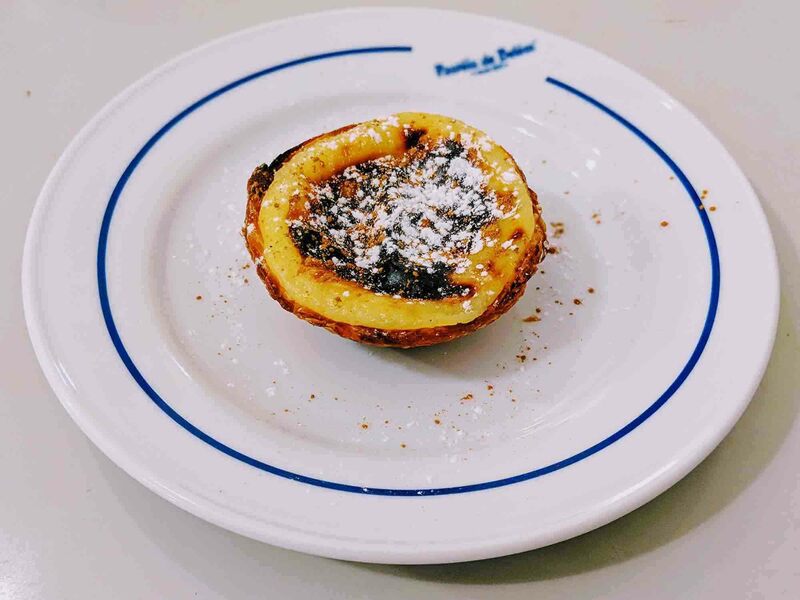 If it wasn’t for the enterprising Pastéis de Belém, a bakery situated in the Belém neighbourhood of Lisbon, we might not have the pastel de nata (often called a Portuguese custard tart). 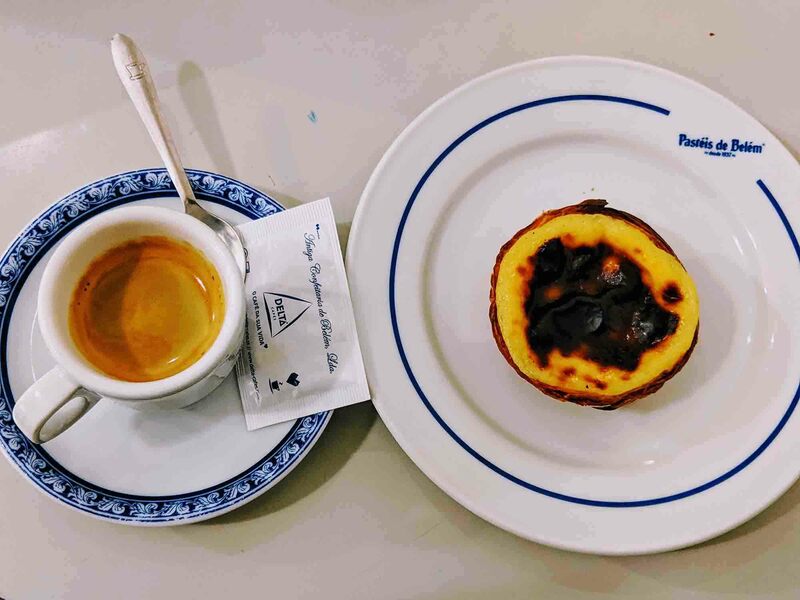 The café was the first business to begin selling pastéis de nata commercially, and that lead to others trying to copy the recipe, and eventually the pastel de nata becoming Portugal’s most famous dish. Today, the café sells at least 20,000 natas per day and attracts thousands of visitors. 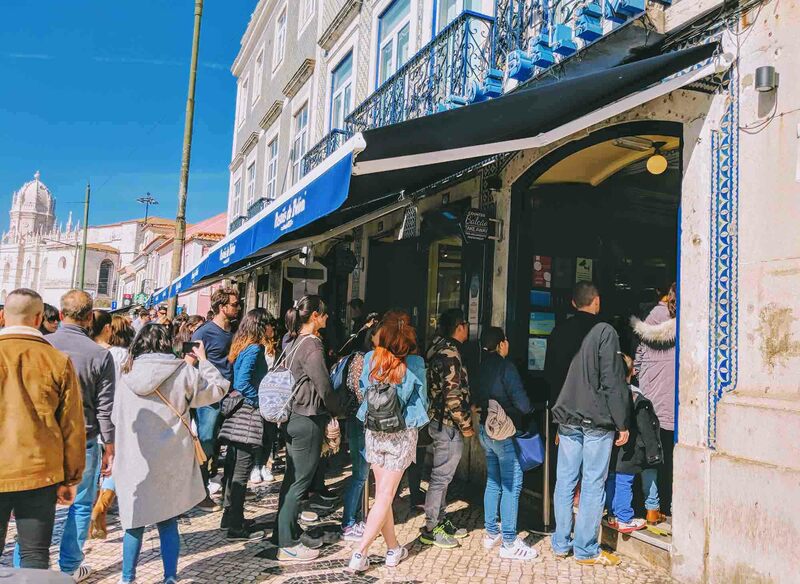 It’s Lisbon’s most popular attraction and one of the most popular eateries in the world: in 2017, it clocked up more than 10,000 TripAdvisor reviews – more than any other restaurant or café worldwide. 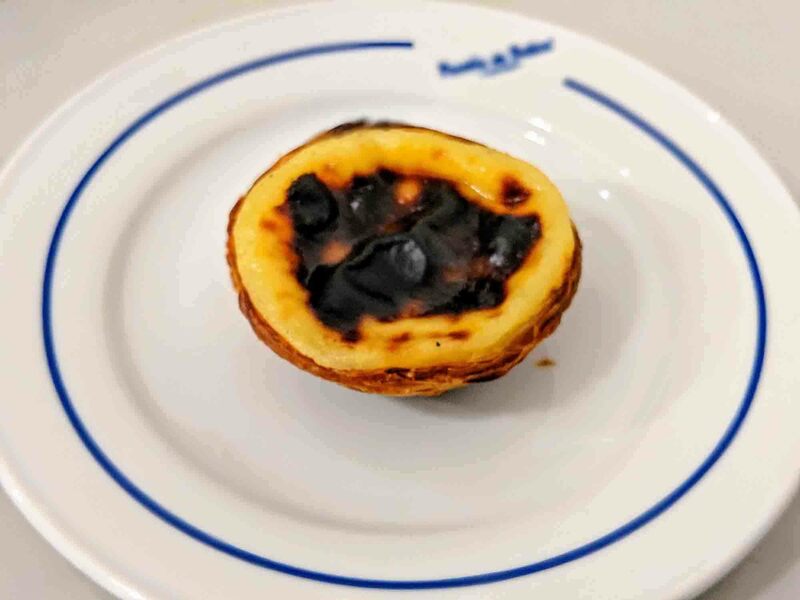 Although there are plenty of other Lisbon bakeries that make great natas, in Lisbon and throughout both Portugal and the rest of the world, none of them have quite managed to beat Pastéis de Belém at what they do best. There is a theory that Pastéis de Belém mix a little pork lard in with the butter when making the puff pastry, and that’s why they’re so crispy, but since the recipe is a secret nobody knows if this is true or not. Obviously, a lot of vegetarians would be upset if it ever turned out to be true. Pastéis de Belém weren’t the inventors of pastéis de nata; the pastries were actually invented by monks in the nearby Jerónimos Monastery. In fact, Portugal owes a lot of its cakes and pastries to monks and nuns. Back then, egg whites were used to starch nun’s habits and this meant there were a lot of egg yolks left over. The monks and nuns would experiment with different recipes, and this lead to the creation of pasties de nata as well as other doces conventuais like ovos moles, queijadas, and pudim de leite. But although Pastéis de Belém didn’t invent them, they were the first place to begin commercially selling them. Back in the 1800s, Jerónimos Monastery started to run into financial trouble. The monks began selling pastéis de nata to try and raise funds, but it wasn’t enough. In 1834, the monastery had to close down and the monks sold their recipe. The buyer of the recipe was a local businessman named Domingos Rafael Alves who owned a local sugar refinery. 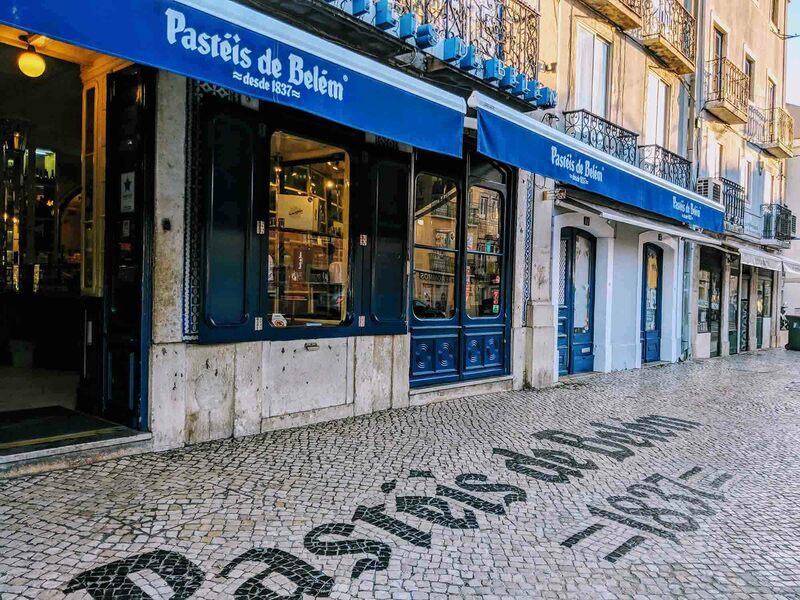 He opened Pastéis de Belém which, to this day, is still run by his descendents. 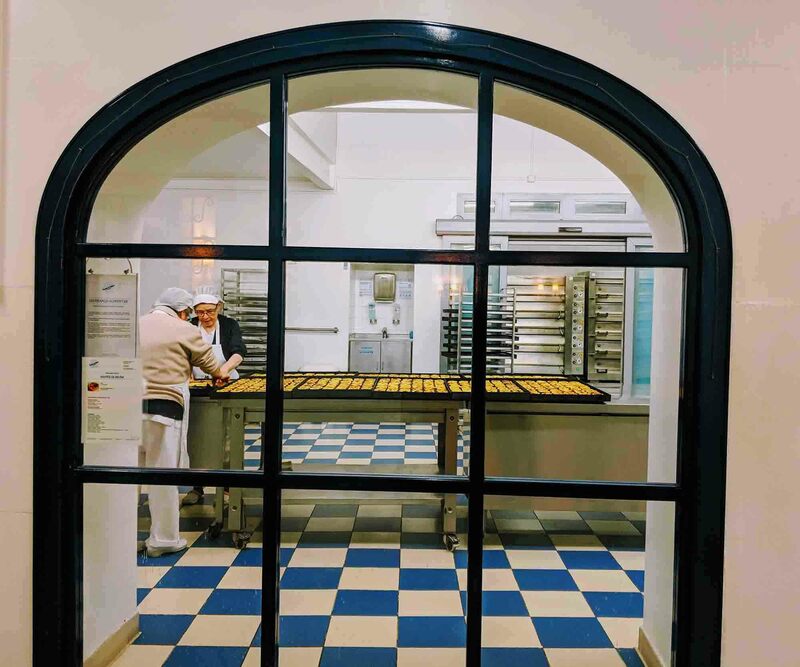 Only a handful of people know the recipe, which is a closely guarded family secret, and all of the baking takes place in the Oficina do Segredo (the Secret Office). Pastéis de Belém, as mentioned, is one of Lisbon’s most popular tourist attractions. It sells tens of thousands of natas per day and can get incredibly busy. When it gets busy, it’s just like all tourist attractions: it’s crowded, noisy, and uncomfortable. If you really want to enjoy your pastel de nata experience, get there early. It’s usually pretty quiet first thing in the morning, and this is a good time to visit Belém’s other attractions like Mosteiro dos Jerónimos (Jerónimos Monastery), O Padrão dos Descobrimentos (Discoveries Monument), and Torre de Belém (Belém Tower). There are also plenty of great museums and galleries in Belém like the MAAT, Museu dos Coches (National Coach Museum), and the Museu Coleção Berardo. Pastéis de Belém is open every day of the year. They’re even open on Christmas Day and New Year’s Day. They open at 8 am and close at 11 pm (or 12 pm in July, August, and September). When you go in, the counter is really just for ordering natas to take away (although there is a place to order and eat at the counter). Most people prefer to sit down, though, so walk to the back and find a table. The café goes back a long way, and there are several rooms of seating. There’s also a large window where you can see the natas being made, which is fun to take a peek through. *On the 24th, 25th, and 31st of December and the 1st of January, PDB closes at 19:00. If you live in Lisbon, you can actually get Pastéis de Belém delivered to your home using Glovo. Glovo is an app like Uber Eats where you can order from any restaurant, and they’ll bring it to you. To skip the crowds, a lot of people are now using Glovo and getting natas delivered to their home. If you’re based outside of Lisbon, you can still get Pastéis de Belém delivered to your home, but it’ll obviously take longer than 30 minutes. DeliPortugal can deliver Pastéis de Belém within Portugal and Spain, and they are usually delivered within 24-36 hours from dispatch. Deliveries to Madeira and the Azores, however, can take 5-6 working days. It doesn’t seem that you can get pastéis de nata from Pastéis de Belém outside of Portugal and, even if you could, they’d probably be incredibly stale by the time you got them. You can order pastéis de nata online in most countries. ShopPortuguese.com will deliver natas within the US, while in the UK you can order them from Waitrose. Alternatively, you could learn to make pastéis de nata yourself. In Lisbon and Porto, you’ll find plenty of cookery schools that offer classes. Outside of Portugal, you’ll need to pickup a cookery book or find a recipe online.